Our friend Ruth has been giving us lots of duck eggs so I have been doing lots of baking with them. 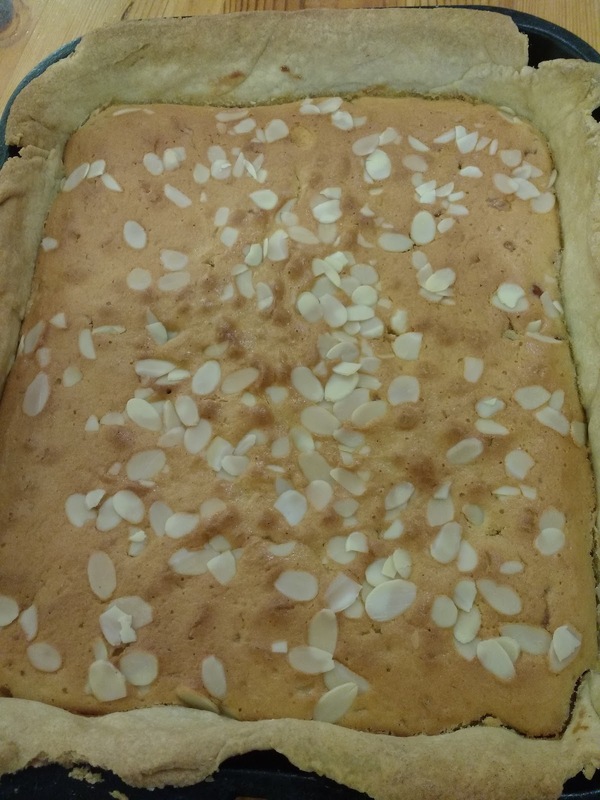 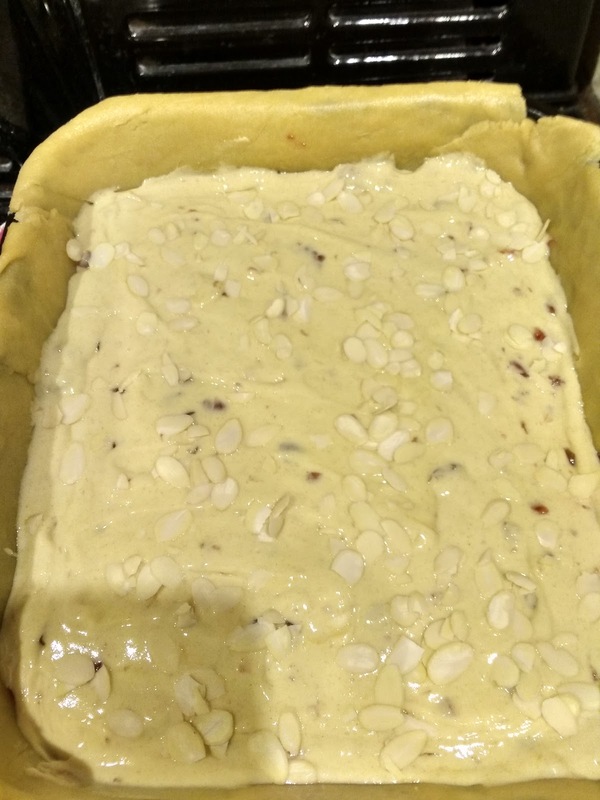 I like Bakewell Tart so last week I decided I would make one. I used a Mary Berry recipe and added some glace cherries for a change. 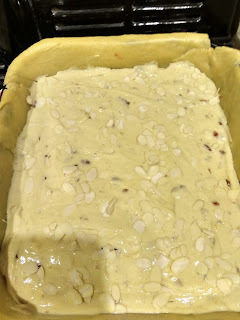 I sprinkled some flaked almonds on the top and baked it and it turned out perfect. 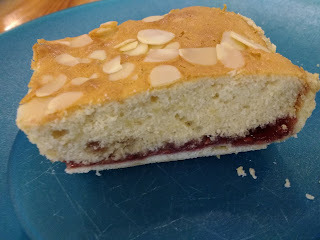 Here's the finished cake which was delicious.